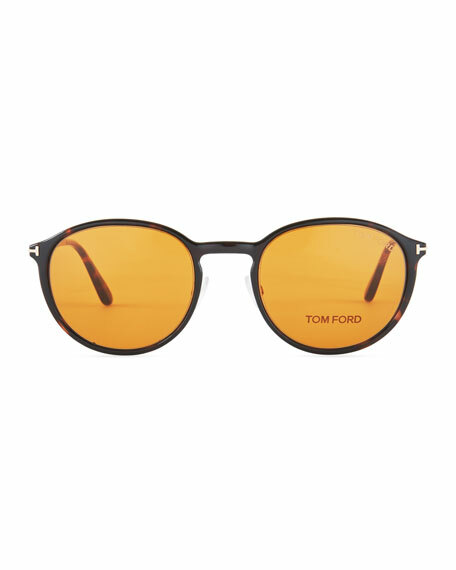 Tom Ford optical glasses in plastic and metal. Includes plastic magnetic clip on with orange lenses. 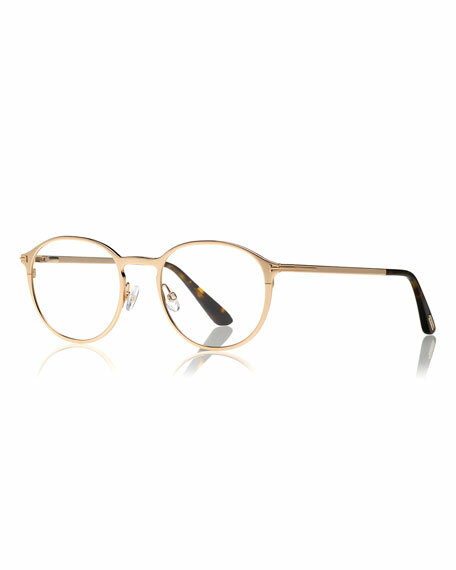 Frames will arrive with clear demo lenses. Replacement is suggested. Round lenses; adjustable nose pads. Signature metal "T" inset at temples. 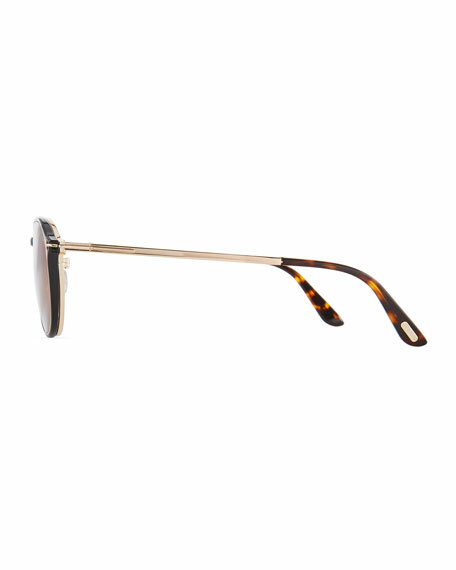 Garrett Leight "Wilson M 49" sunglasses. 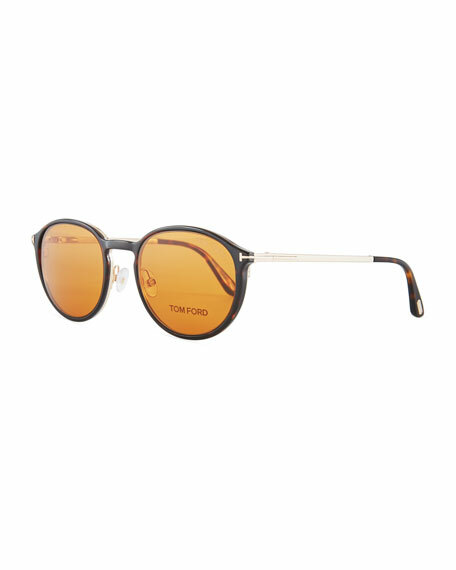 Round stainless steel frame with Windsor rims and cellulose acetate temples. Pure gray mineral glass lenses. Dimensions (in mm): 49-133-145. 100% UV protection. Imported.